It was a dark and stormy night two hundred years ago this June when Frankenstein was first animated in a Swiss chateau by the 18 year old Mary Shelly. She created the legendary monster after a challenge by Lord Byron who had invited a group of young British literary types to spend the summer on the shores of Lake Geneva. Climate change caused by a volcano in Indonesia created endless rainy weather that meant they spent a lot of time indoors pursuing their respective writing efforts. After some evenings recounting German ghost stories while drinking local wine and consuming opium Byron challenged the assembled writers to each create their own similar tale. Shelly was feeling pressured, being asked every morning if she had succeeded. Finally several days later during a night where she couldn't sleep she wrote her 'waking dream' around 2am about a doctor in nearby Geneva who animated a creature made of scavenged body parts. 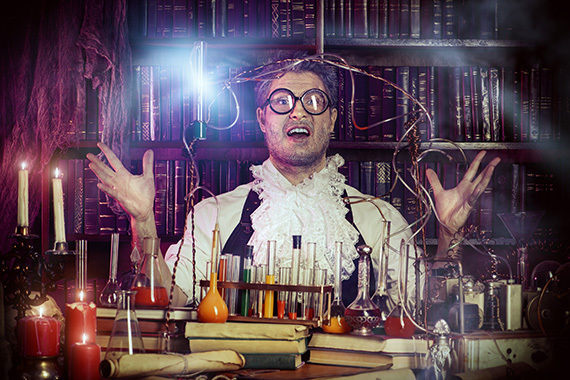 At that time, Galvanism was the newest scientific research being conducted in Europe where electricity was used to animate dead tissue, giving thought to the possibility of reanimating dead bodies. Shelly had seen demonstrations of scientific experiments at the Royal Institute in London, and knew how electricity could be used to recreate movement in dead muscles. "Perhaps a corpse would be re-animated", Shelly noted, "galvanism had given token of such things". This is probably why she used electricity as the source of life for the creature built out of body parts from dead people. Exactly two hundred years later a New York Times headline announced in June: 'Project aims to synthesize entirety of Human DNA. Ethical issues include the possibility of babies with no biological parents'. So if Boris Karloff scared you in the original 1931 Frankenstein movie (or soon Javier Bardem who is being tipped to be the new monster in an upcoming remake) you should be really afraid now. One of the points in Shelly's book was that the good doctor was trying to play god and it had disastrous results after a potentially promising start. Are we now also at the same crossroads? If scientists can create life to their own specifications is it not pure ego to think humans are better able to do this than letting nature find it's own way? And what kind of manipulations and interests will guide such efforts leading to potential misuse of the knowledge. We live in a world that today sadly has very low moral standards and people of immense wealth and power who do as they please. Will countries create super beings to go to war on their behalf or else try to create perfect societies with individuals having Einstein IQ's and movie star looks? 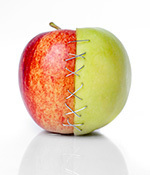 In Europe, the organizations questioning the safety of genetically modified foods call these staples 'Frankenfoods' as a nod to scientists trying to be superior to nature. I don't know enough details about the young science and the jury is still out on the subject regarding potential long-term health issues and benefits but when it comes to custom made humans perhaps a little more research should be done. And also ethical considerations need to get taken into account before a new monster is unleashed. Shelly's Frankenstein didn't start out as a bad creature but after being rejected by it's creator and society it turned evil. Perhaps scientists should first focus on solving a few of the worlds existing problems before creating more potential issues. Maybe going forwards is really going backwards in disguise?